EGYPT - My travels to Egypt in 1998 coincided with a project I was doing in the US with Buck Brannaman about the spirit of the horse. I went to Cairo to document rituals in the different neighborhoods of Cairo and while there arranged for a pre-dawn horse ride at the Pyramids. My day began before sunrise and by the time my guide and I were saddled and out in the desert the sun began to rise. We were alone, surrounded by sand and monuments. 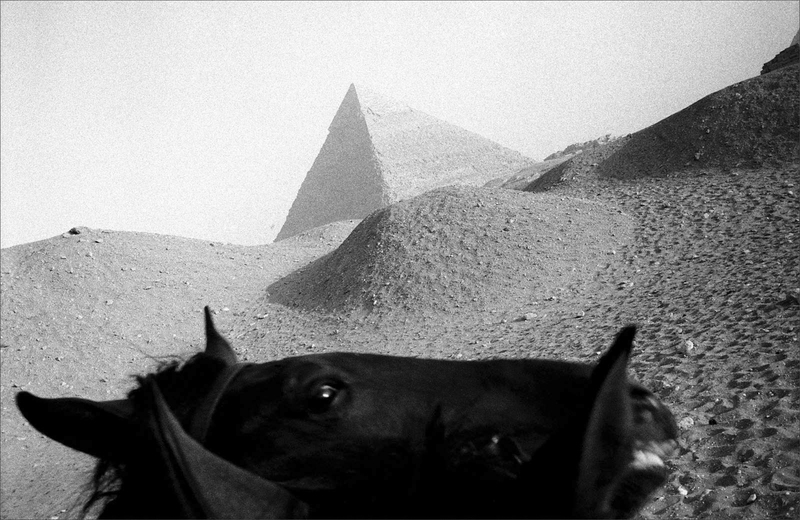 Our two horses reared a bit and I took this photograph, leveling on the horses while the great pyramid angled away in the background. This scene made for an intimate moment with the most famous monument in the world, where for once it was not the center of attention, but rather a beautiful object in the background.